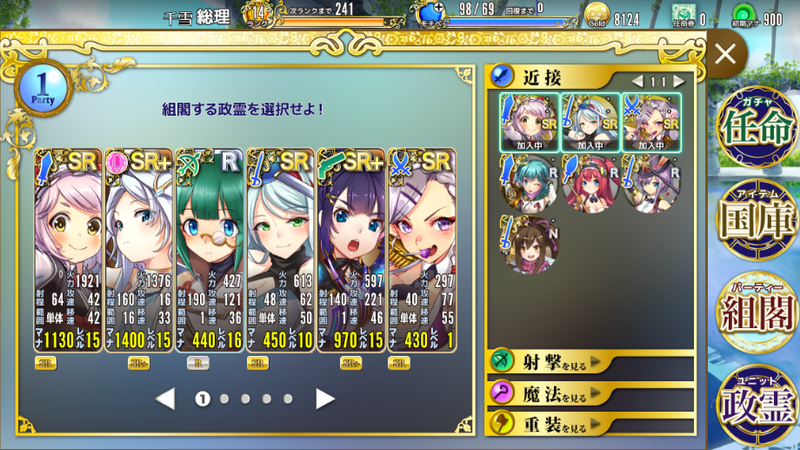 @KitsuneSama It takes some time to figure strategies for this game. It has a steep learning curve. Also try leveling your units a bit that will help. Man, I went through 10 accounts and I still haven't seen a SSR. Also this game needs hotkeys for selecting units. @Serian the Bismarck looking gunner is just REALLY strong in SSR version. She's carried me through everything, basically. Hmm the game is interesting. By the way the gacha??? in this game can we use the ingame currency??? or how does this works??? I don't know what to do anymore, I want a SSR. These shards are where indicated?? It seems I am so blind to see them here. One more question here it seems I am kinda getting a hard time to 3 star them here. Do I need to drag out these battles???? Well 5% for an SSR seems better than 1% lol. Still it will take a while I guess. 2. Don't let any of your towns or towers destroyed by enemy. 3. Clear the map with the requirement Mana. You don't have to drag the battle, as long you don't use a lot of mana and capture a lot of the towns and towers, you'll reach the quota.